Ok here is the deal. 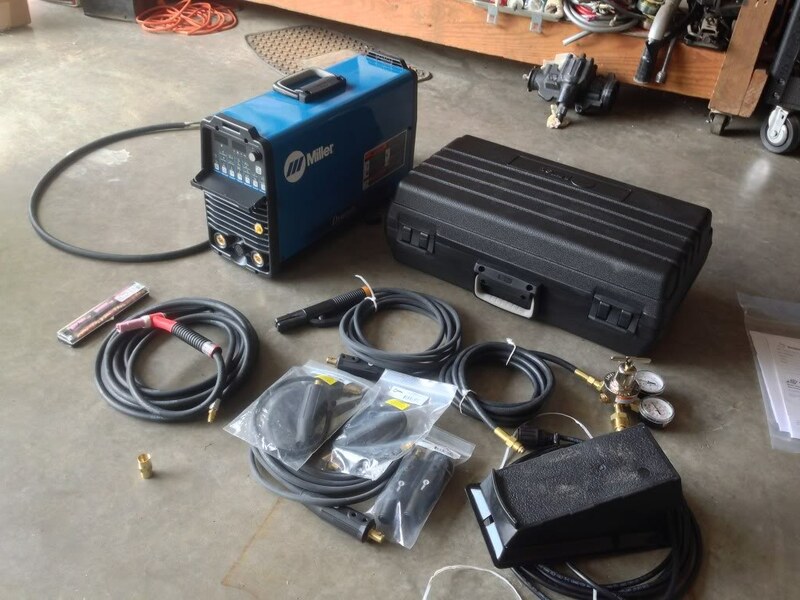 I have been thinking about try to find a cheap start tig machine I found a Miller Econo Twin HF Welder with cables, wheeled cart on cl for pretty cheap. It has been gone thru by our local welding supply company and everything is in working order. My thing is that I'm not really sure if it is worth if or not. I would still need to get a tank/full it, filler rod, tungsten and wire up a foot pedal. What is you guys opinion on tig welding. I mean is it really any better the a mig weld. Yes they are a hell of a lot pretty and smaller bead but does that make it worth the cost of a tig setup?? mostly just truck related parts and piece. sheet metal all the way to some 1" plate. which i can easily do with my mig. 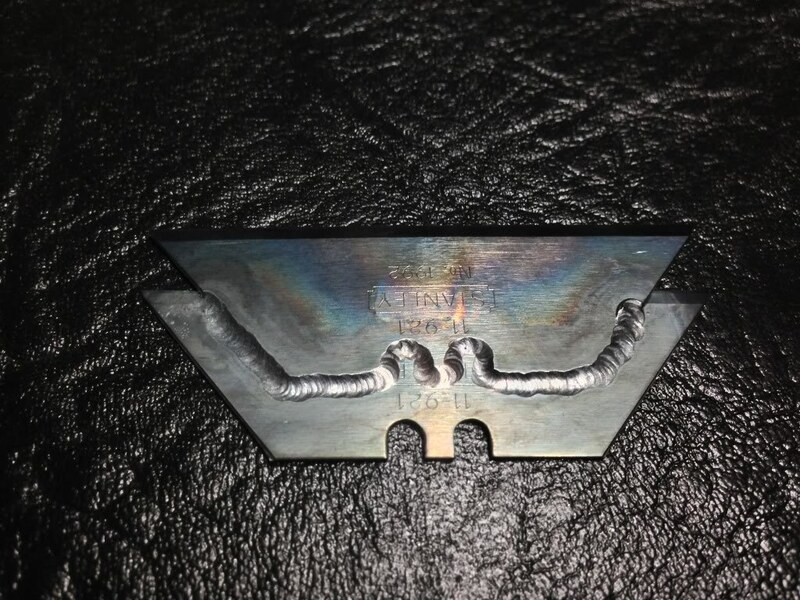 I love tig welding, but it isnt as easy or quick as mig welding, but its a lot prettier looking if done right and you have a lot more control. You can add more/less heat, and more/less fill instantly. If its something you would like to add to your tools and skills. Id say go for it. will it melt two pieces of carbon steel together better than a mig will melt two pieces of carbon steal together? No, if done properly both will get the job done just fine. Yeah see that is where I'm at with it. I would love to have the skills and machine in my shop. I would also love to have the ability to weld stainless and aluminum so I guess we'll see how or if I can work a deal out with the seller. If it doesn't work out no big deal but will see I guess. I know I'm going to get some flack but I'm very happy with my Everlast 256s. I have not had a single problem with it and for the value it has been a great investment in my home shop. I wanted the 3 in 1 for space reasons in my shop but their products seem well built. Before I bought it, because of rumors, I talked with their customer service line and was impressed with them as well. 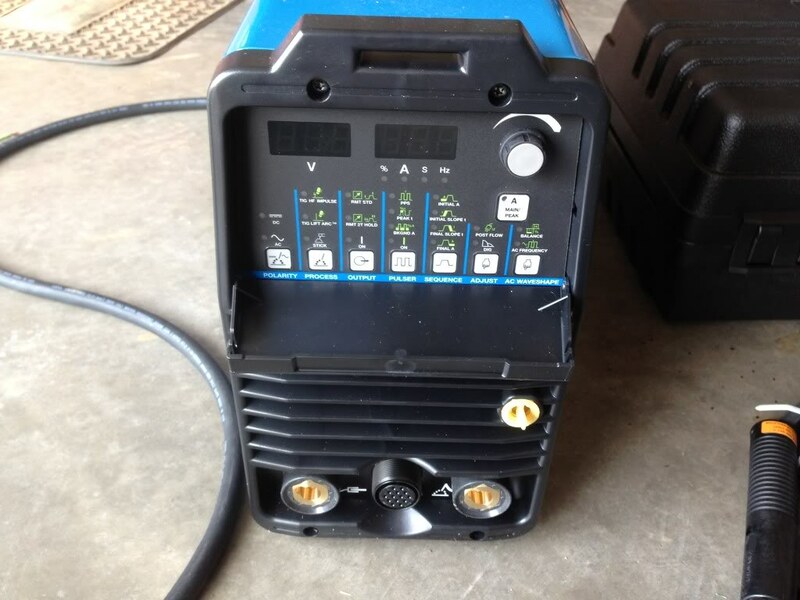 I am not familiar with that machine, but having both mig and tig welder, i will say i do try to tig everything i possibly can just because its fun, looks better, and more time under the hood to improve my skills. Mig welding is fine for those quick jobs, and it does have its purpose, especially tack welding parts that you are going to tig weld. Cant really do that unless you have someone holding the part for you.... but either way, i spent $4900 on a miller dynasty 200dx. its quite a bit more than what you are looking at, but considering the features it has, it has been one of those irreplaceable tools in my garage. As everyone said, it all depends what kind of job you are wanting to do. i have done plenty of work with my mig welder such as my bumpers on my 4x4 truck. honestly i would not want to tig weld over 12ft of steel just to grind down the metal to round off the corners. it will take a long time, and waste a lot of gas IMO. I have found my TIG to be really helpful on repairing broken parts, especially small parts. the precision you have with .040 electrode is amazing. a basic machine can get a lot done, but it just depends if you are doing general work, or if you plan on working with more intricate parts. with the settings available on my machine, i can setup for any type of situation, pulse, frequency, and a whole lot more. gives it versatility for those oddball jobs. Again, if you plan on welding up link bars and do jobs like that, TIG is the way to go. Thanks. That helps out a lot. I think pretty much the same as you. It's one tool I would love to have. I'm pretty sure if I did have a tig after I learn how too use it and got good with it, it would all I used. But the guy never wrote me back so it's back to looking around and saving money for something nicer. I know the price for the model down is 2000 for a basic machine, then jumps up to that 4900 mark. pretty crazy, but there is a huge difference between the two. at least you gain the ability to arc weld. like i said its pricy, but you can literally change every aspect about the arc, focus it, or broaden it to your liking. just depends how YOU will go about to use it. no point in buying it if you never plan on using it to its full potential. But you can do some fun stuff with it.